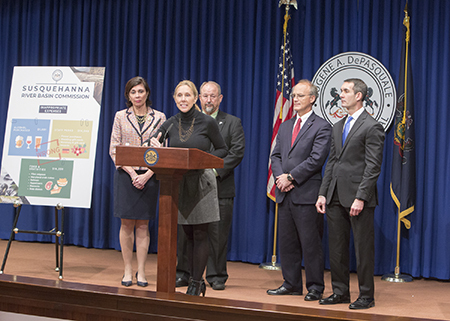 I joined my Republican colleagues for a press conference where Auditor General Eugene DePasquale released his report on frivolous spending by the Susquehanna River Basin Commission (SRBC), including more than $1,000 on alcohol and even more for steaks and other lavish food items for its meetings. The report also found the SRBC spent more than $16,000 on food items, including filet mignon, salmon and crab cakes, during the fiscal year that ended June 30, 2017, for its quarterly meetings. In addition, the SRBC also spent $8,031 on gift cards as rewards for employees, $3,074 on a holiday party for its staff, $1,585 for a staff picnic and other questionable expenses totaling more than $1,000. To read the report, click here. This type of spending by the SRBC while it demands higher fees is completely unacceptable and is a slap in the face to those, some of whom struggle paycheck to paycheck, who are charged these fees. The root of the issue is a runaway bureaucratic commission that freely spends consumers’ money without accountability or oversight. The commission must be held accountable. The SRBC was created when the Susquehanna River Basin Compact was drafted and signed into law on Dec. 24, 1970. The compact, as adopted by Congress and the legislatures of New York, Pennsylvania and Maryland, provides the mechanism to manage and monitor the surface water resources within the Susquehanna River Basin. In addition, an audit of the Delaware River Basin Commission showed it was unable to account for $472 in payments to restaurants. To watch the press conference, click here. Throughout the nation this past weekend, communities paid tribute to veterans with a variety of parades, ceremonies and dedications. 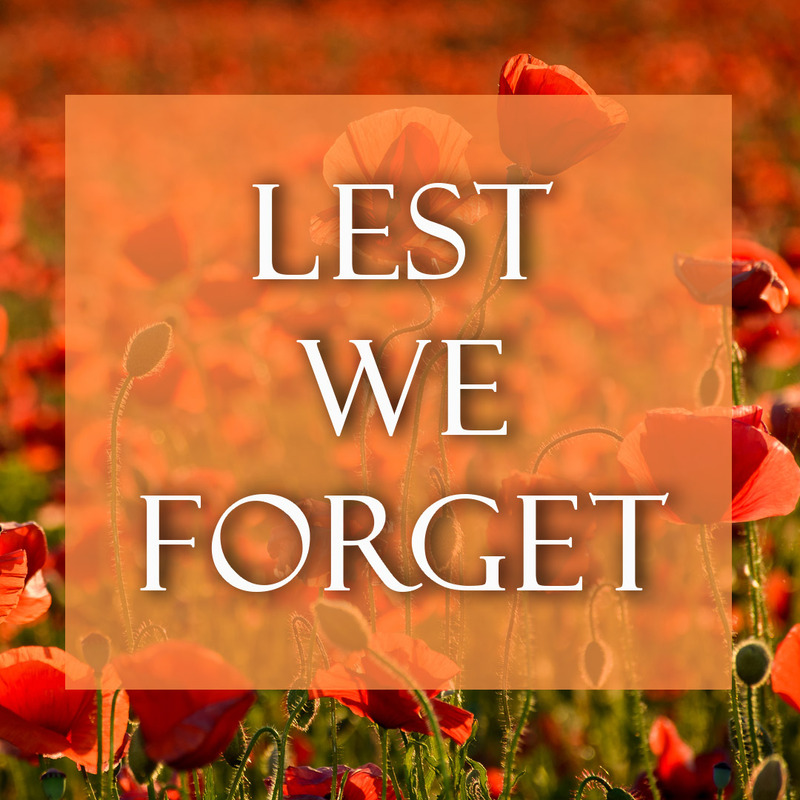 This year also marks the 100th anniversary of the armistice which ended World War I, on the 11th hour, of the 11th day of the 11th month. President Woodrow Wilson declared a national day to commemorate the armistice a year later in 1919. That has since become Veterans Day. The sacrifices these men and women make – all to protect our freedoms and our way of life – can never truly be repaid. We are forever in their debt, and we continue to be grateful for all they do. For more about the history of Veterans Day, click here. To help families of active-duty military members and veterans, three laws enacted during the current session by the Pennsylvania General Assembly. Act 119 of 2018 requires public school to provide support services and information to a student when a parent or guardian is deployed for active duty. To help raise additional funds for veterans’ programs and services, Act 149 of 2018 allows applicants for a two-year vehicle registration to double their donation to the Veterans Trust Fund, when completed online. These new laws are in addition to the Stolen Valor Law, Act 9 of 2017, which was also enacted this session. This law makes it a crime for someone to misrepresent military service or honors for the purpose of fraudulently attempting to obtain money, property or other benefits. To help ensure veterans have access to the wide range of support services and programs available to them, the Pennsylvania Department of Military and Veterans Affairs has compiled an online registry to better connect veterans with available resources. Registration – which includes submitting basic information such as name, age, home address, email, etc. – takes only a few minutes, and can be done at www.register.dmva.pa.gov. Through this registry, veterans can choose to have their information shared with their county director for veterans affairs and other relevant state agencies. They can also opt in to receive timely, informative emails regarding local, state and national news; program updates; community events; and employment opportunities available specifically for veterans. Pennsylvania Career Link in York, located at 841 Vogelsong Road, hosts a Veterans Job Club from 1:30 – 4 p.m. on the first and third Tuesday of each month. The program focuses on assisting veterans who are low income, long-term unemployed, homeless, 18 – 24 years old, recently discharged, have a VA disability rating or law violations, in the pursuit of full-time living wage employment opportunities. Registration is required. To sign up, search events on www.jobgateway.pa.gov and click on Veterans Job Club. For more information, call (717) 767-7600 extension 232.